Some games manage to offer a meeting grounds for the casual and dedicated gamer. Dedicated, because of the depth of the game and the room for growth. Casual, because it sometimes suffices to throw in a quick match, wherever and whenever. There are not a lot of games on Facebook that fit this description. Most of them are the barest of casual games, the kind you would play on your phone while you’re waiting in line at the ticket office. The kind that helps you kill the time. But every now and then, when you are least expecting it, sheer awesomeness happens by. 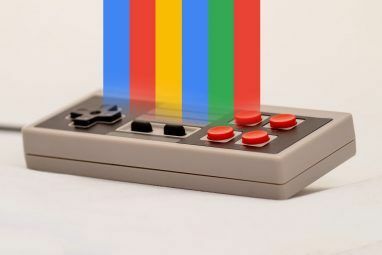 Your eyes meet across a crowded screen, and you realize this is the game you’ve been looking for. A pretty cool game. 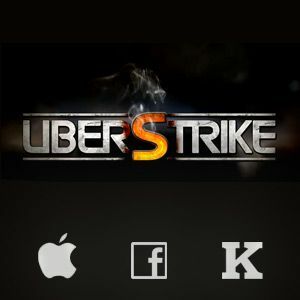 UberStrike is a fast-paced cross-platform MMOFPS (or ‘online shooter’ in short), with over five million registered users, and one million active players per month. It reminds at the same time of Counter Strike and of Quake, which is no easy feat. 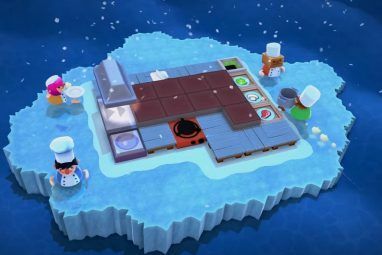 The game is supported by an extensive leveling system, which keeps things exciting, and reflects on what weapons you can access in the in-game store. You can expect most of the regular game modes in UberStrike, including Deathmatch, Team Deathmatch, and Team Elimination. In a Deathmatch you need to kill as many of the other players as you can. Team Deathmatch has you taking down players of the other team, until a pre-set cap is reached. Team Elimination is similar to Team Deathmatch, except you won’t respawn after being offed by a player of the other team. UberStrike is cross-platform, even though it doesn’t have game clients on every operating system. It is built with Unity, which let’s you play it right from your browser. For Mac OS X users there’s also a desktop client in the Mac App Store, and a mobile version for Android and iOS devices will soon hit the respective app stores. I play-tested both the Mac client and on Facebook, and got a slightly higher frame rate with the desktop client. At the time of writing, there are three websites where you can play UberStrike. First, on UberStrike.com. Just like the desktop client, this has the advantage of not being forced to (but still being able to) connect to the game with your Facebook account. If you don’t mind (or happen to love) Facebook integration, you can also play it on Facebook, as shown in the screenshot above. Finally, UberStrike has recently been rolled out to Kongregate. UberStrike is free to play, but like many games in its genre, is supported by a micropayment system. By default, you only have the melee Splatbat and Machine Gun. The shop boasts an insane array of other weapons and cool outfits for your character. Luckily, you can earn points in-game to peruse in the store, instead of purchasing them. This means you will by no means be limited to those two standard weapons, even if you don’t want to invest any money into the game, albeit it will be a bit harder. These items can then be bought for one day, seven days, one month, or three months. It’s also possible to buy a weapon permanently, but this cannot be done using the points you earn in your games, but only through purchased credits. Which ones are your favorite games to play? Drop a line in the comments below! 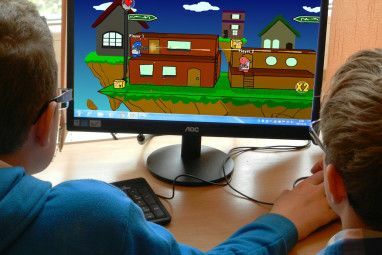 Explore more about: First Person Shooter, Mac Game, MMO Games, Multiplayer Games, Online Games. 5 Sites and Apps to Find Movies & TV Shows to Watch on NetflixHow Are Video Game Accounts Hacked & What Can You Do To Protect Yourself? the game is playable on facebook only?? Looks great, checking it out now! As always, with MMO gaming. You may get better (initial) load times with a desktop client (as you can read above, there's now one for Windows as well), but downloading maps and in-game performance are probably about the same. I hear you. I don't think it's on the top of their list, but I'm keeping my fingers crossed as well. Unity is one of the best ways to cross-platform gaming IMO. Quick add-one: we just released a Windows client and gearing up for mobile and tablets - stay tuned! I guess 'better' comes down to personal preference in the end. I probably wouldn't grant the game the number one MMOFPS spot, but IMO it's well worth your time checking out. The gameplay is fun, fast-paced and very well executed; if you like playing fast-paced shooters, you'll be off playing in no-time. The main difference for me was in the community (which is sizable), accessibility (every OS but Linux, and you can play in your web browser) and performance (even on my old non-gaming laptop, the game ran smoothly).